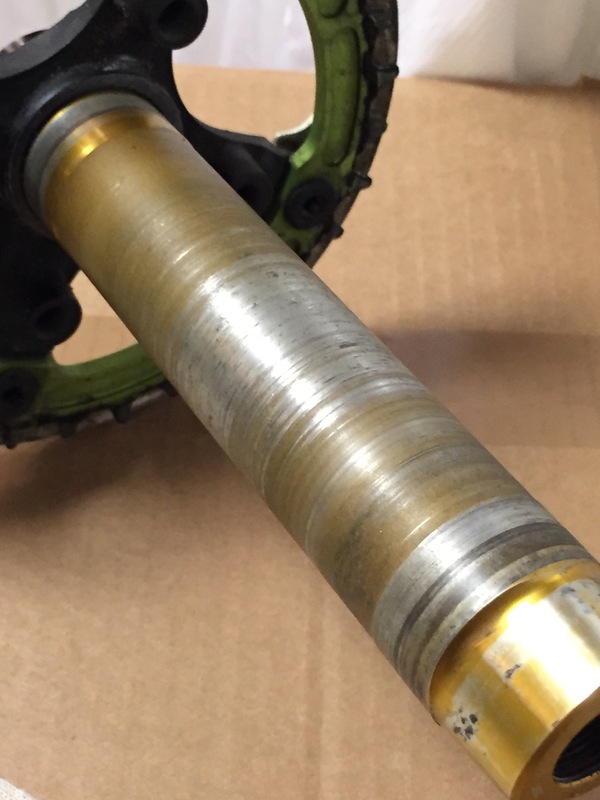 Sooo… My ethirteen bottombracket finally died. Honestly i´ve been waiting for it to crash. When i built up the Mukluk two years ago there were not much to choose from regarding fat bike cranks due to the 100 mm wide axle. I finally got my hands on the ethirteen and they looked awesome. Still i soon noticed that the sealing in the bearings were quite un-seald. The plastic cover came loose all the time and the left crank kept unscrewing it self. Also there were no plastic tube to cover the axle. Quite crappy if you ask me. 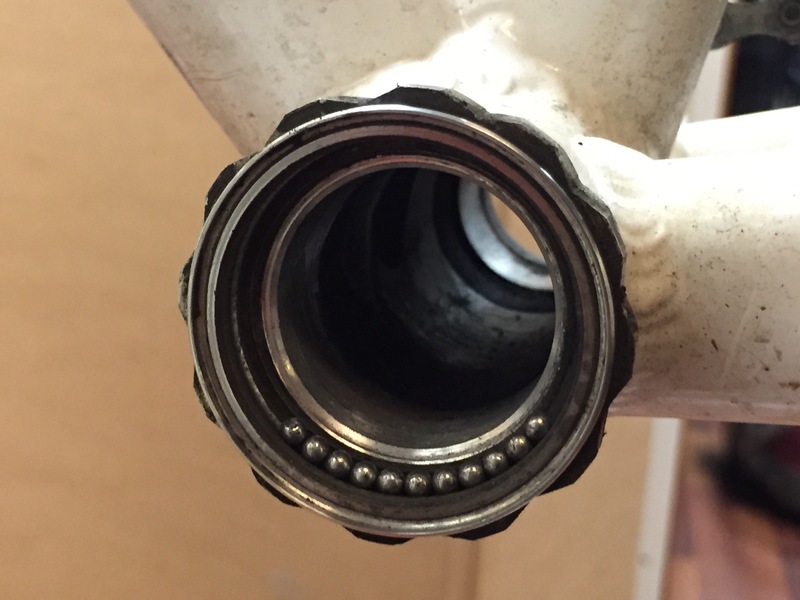 ethirteen is a high end brand after all… Any way, after my last disassemble of the bottom bracket the balls just fell out (lol) and the bottom bracket shell was as usual full of dirt. Without the axle cover the axle takes quite a beating. One week rest for the Muk in the suit department at my store. We’ll see how they mange. Cant be worse than eThirteen…. Still i wish Shimano would make a XT crank set for fattys. The Hollowtech II are bombproof.